A few time ago we shared how to save time and improve personal efficiency using a power of SugarCRM platform and TimeLine Viewer, a Sugar 7 add-on for collecting any important events from Sugar CRM database or from other systems and visualising them like a news feed. Now everyone can use TimeLine Viewer not only on a Sugar desktop application but also on iPhone, iPad or gadgets on Android. SugarCRM introduced a new version of Mobile SDK in Fall’17 release. It allows extending regular Sugar Mobile and literal moving of key CRM events at Sugar users’ fingertips. 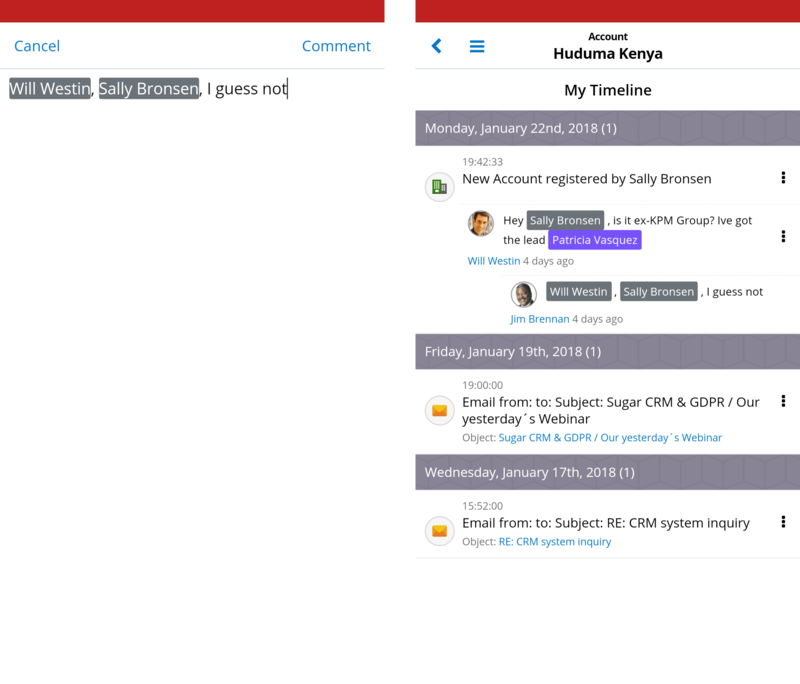 In addition to the power of regular Sugar Mobile, you get an easy way to be informed about all-important CRM changes from TimeLine Viewer wherever you are. Anyone who needs to work on the move will evaluate the easy way to analyse important changes using usual dashboard’s dashlets like news feeds, configuring them by type and nature of events: funnel changes; leads & customers communications history; key customer cases’ and issues’ changes etc. Only three touches are needed to receive a full picture by particular object: 1) touch the object you are interested in; 2) select the “Dashboards” tab and 3) touch the “My TimeLine” dashlet to get a full picture on a single screen. It works for any CRM object (lead, customer, contact, opportunity, case, etc. ), both regular and custom. The collaboration directly from the feed will save a lot of time for you and your teammates. You no longer need to waste time on describing the context of your questions or comments. You just select a particular event from the feed and type a message, question or recommendation. 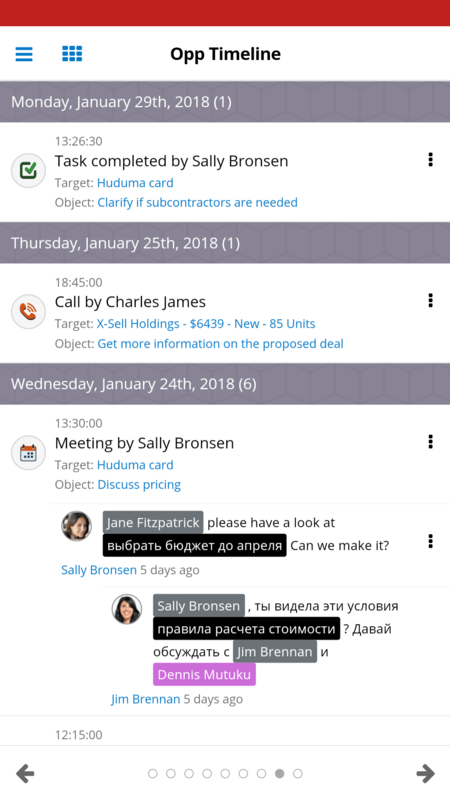 You can add calls for the particular colleagues (they will receive a notification); add active web links or links to the CRM system objects for making your message more focused, informative and useful. In this way, you can use the full power of your team and share team knowledge with all authorised users without any effort. 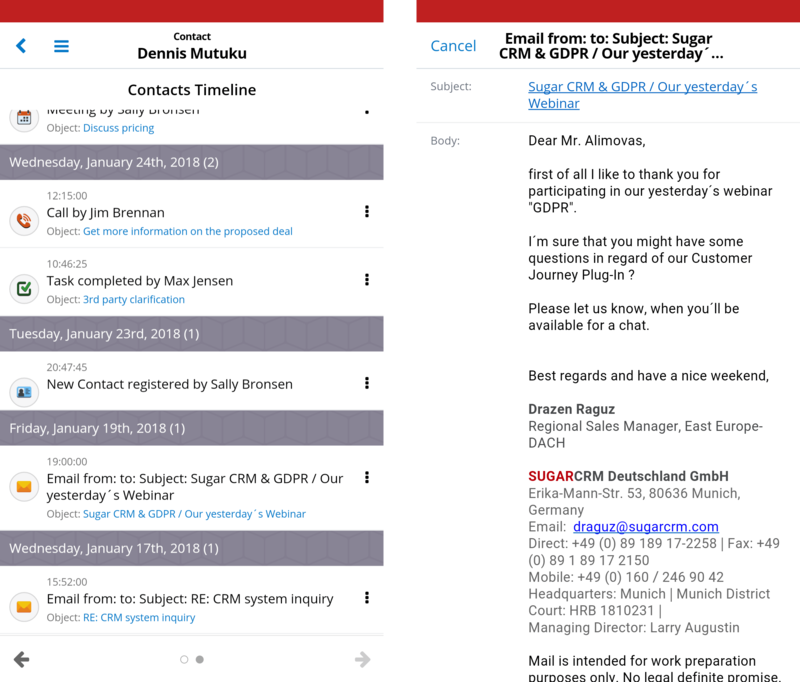 We hope that Sugar Mobile users and especially SugarCRM partners will enjoy TimeLine Viewer mobile features especially given the possibility to configure new TimeLine events tailored to your unique needs without programming. Logic Builder allows creating new events in minutes and does not require programming. It is just the beginning of moving TimeLine Viewer features into Sugar mobile. If you have ideas for improving TimeLine Viewer, join us. We would be glad to work together as a team. p.s. We would like to thank SugarCRM Mobile SDK development team for their help and support. 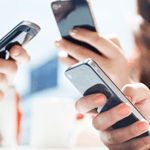 p.p.s Anyone willing to know more about how mobile CRM allows saving time and improving individual efficiency can attend a 30-minute webinar on February 8.